Liver and kidney are susceptible to reactive oxygen. When those are inflamed, the fibrosis advances and the tissue changes hard. It seems MMP-9 may soften the hardened tissue. Zinc and selenium increase the MMP-9 and they erase the reactive oxygen. 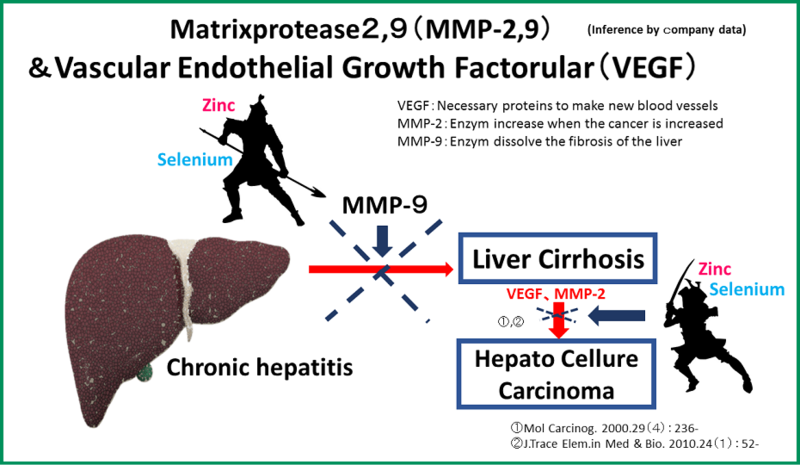 They suppress MMP-2 and VEGF is advanced the progression of cancer.